Are you a beginner guitarist and you want to learn how to play the guitar? Or you are already a good guitar player, and you want to improve your skills? This guide will show you the best guitar training websites available online today. Also, you're about to discover cool strategies and useful resources that will help you become a better musician. Today we have at our disposal an incredible amount of learning resources: with a good Internet connection, it seems natural to learn how to play the guitar in the comfort of your home. If you don't have the time or the cash for a private teacher, online guitar lessons are a flexible and cheaper alternative: no wasted time, you can learn when and where you want. Would you like to learn the chords of "Little Wing" anywhere, anytime, even in your underwear at 2 am? But do online guitar lessons work? Another problem with learning online is that we are overwhelmed by an impressive amount of videos, courses, books and whatever. Often, beginner guitar players jump from one video to another, without following a structured learning path, and eventually, waste precious time. From a beginner perspective, it's not easy to understand what is right for our growth. Let's see how to overcome the information overloading and exploit the Web the right way, to help you become an accomplished guitar player. Given the overwhelming amount of options out there, finding the best method for learning the guitar is hard. So, to make your life easier, I have reviewed and selected the best online guitar lessons available today. All these lessons are by professional guitar teachers, are easy to understand and use a step-by-step approach that guarantees an optimal A to Z learning experience, with a lot of fun and no frustrations. Here are the top online guitar courses available in 2019. And the best part is that the top 2 choices, by far the best complete courses for most people, at the moment both have a free trial. I recommend you take advantage of while they're still available. Just click on the green buttons! Disclosure: by purchasing a guitar course through a link on this guide, you will also be donating to FaChords, although the cost to you is the same. This a great way, free for you, to support FaChords and help create new guitar learning software, tutorials, and ebooks. Thank you! Guitar Tricks has courses for beginners, intermediate, and advanced players. It is clear if you have never played guitar you can get started right away on this website. They begin with the foundation explanations of tuning and holding positions and build into various styles of playing and picking. Some oldest lessons have less video quality. With Jamplay you will learn many different genres and techniques. Rock, Jazz, Heavy Metal, Flamenco and much more. Among their teachers, you'll find big names such as Ron Thal BumbleFoot, Steve Stevens, Don Ross. It is the best choice for those who want to learn new things and expand their horizon. Read the Jamplay Review here. ArtistWorks is an online music school that covers several instruments. For the guitar courses, it hires amazing instructors such as Paul Gilbert or Bryan Sutton. Fender Play has been launched in 2018 by the famous guitar manufacturer. Its lessons catalog is smaller than the other websites listed on this page, but beginner guitar players could appreciate the intuitiveness of the interface and the simplicity to use. TrueFire has a vast catalog composed of 25.000 video tutorials, spanning every genre and style. TrueFire is not the best choice for a beginner, as it lacks a step-by-step learning path, unlike GuitarTricks and Jamplay. Such an impressive amount of guitar knowledge could be overwhelming for those who are at the beginning. For more advanced students, there are gems like the Steve Vai Course. To learn more, read our TrueFire Review. Justin Guitar is a one-man band business, created by Justin Sandercoe, and of course is not fair to compare it to the professional tuition websites listed above, that have big staff and funds. However, it's worth a mention, because it provides you with good and free (partially) video lessons. Even if you are not required to pay anything if you watch the lessons, the website works on an "honor-based system", so, if you use Justinguitar, you should buy his books in exchange. What is the best guitar course for total beginner? Where to find the best ELECTRIC online guitar lessons? Is it hard to learn the guitar? What is the right age to start guitar lessons? So what are the best online guitar lessons FOR ME? Any free trial or discount coupon codes? One could be tempted to skip entirely paid guitar lessons websites because "I can find any lesson for free on Youtube". Yes and no. It's true that there are millions on free lessons out there, but the problem is to find the right one. Search engines try to give you the best match for a given question but often fail. How many of us have spent hours trying to find a tutorial for learning a song, with the only result of getting a long, pointless video with a wrong guitar tab? Another big problem is the lack of structure. Your only worry should be to enjoy the lessons and practice the homework that your online teacher assigns, not wasting time jumping from a video to another (waiting for the overlay advertisements end). The advantage of a paid, professional guitar learning system is the access to a structured, step-by-step learning program prepared by professional teachers. A clear path that if you follow will significantly increase your possibility of success on guitar. Lastly, professional websites have the economic resources to create HD videos, with multi-camera angles, licensed official tabs and interactive tools for the best learning experience. Guitar Tricks Core Learning System is a popular and well-established course; more than 2 millions of people have learned how to play the guitar with it. We live in the Era of Distraction and information overload (how many time have you checked your phone while reading this guide?). Here's a tip for making your practice sessions effective: set a timer for 25 minutes, turn off all the notifications, and focus only on the lesson. Your brain (and your fingers) works at its best if you focus on one single thing. When the timer stops, you can relax and even surf a bit the Web. You'll be surprised how this simple technique is useful for improving your guitar skills. When you are playing the guitar, you use your short term memory and long term memory. The best way to train memory is through repetitions. Neuroscience researchers taught us that the so-called spaced repetitions are the key for a great long term memory. Try to follow a regular practice schedule, and your memorization skills will surprise you! Once I attended a masterclass with Steve Vai. It profoundly changed the way I see guitar practice. Awareness: the most important thing. You should always be aware of every note you play. Go slow, play each single note perfectly, enjoy it, feel it, and, if you make a mistake, try to understand what happened there. If you keep your brain focused on a perfect practice, you'll achieve better results in a shorter time. I learned this trick from Guthrie Govan, and I must say that is incredibly valuable. When you are practicing, your brain is busy getting the exercise right, so you risk not to be aware of some mistakes or imperfections. By re-listening to your performance, you'll benefit from an impartial and objective evaluation, precisely like your in-flesh guitar teacher would do! Let's face reality: Learning the guitar is not easy. You need things to fall in the right place: often you get stuck, you lose motivation, or things seem to be too much complicated. Beware of promises that sound like "Learn guitar in 7 days". On Youtube, there are plenty of great lessons, but most of the time finding them is like to trying to find a needle in a haystack. The truth: beginners need a clear, structured learning path. That is. Many online guitar lessons lack structure: no difficulty levels, no categories, no step-by-step approach. Beginner guitarists need a proven, structured step-by-step learning program. Otherwise, you'll waste time searching for the right video than actually improving your skills. Learning how to play the guitar is demanding (and incredibly rewarding), but it will be a lot easier with the right tools and resources. You should always have clear what will be your next goal, whether it is an open chord or sweeping an arpeggio. So the n.1 advice here is to join an online guitar course with a step-by-step curriculum. It depends a lot on how much effort you put into practice. And it also depends on how you mean for "learn guitar". Learning the guitar is a never-ending journey, every time you think to master something, soon a new world of options and things to learn appears. By looking at our guitar students behaviors, some rules generally apply. We suppose a practice regime of 3 times a week, for about 30 minutes at a time. You can play songs with basic open chords with simple rhythms. You have built calluses, and you're all set for more complex things. Your fingers gained agility, and now you can pluck single strings easily, do a little bit of pull-off and hammer-on, and playing simple melody lines. You can play riffs and complex genres like the Blues and country. You can play advanced strumming patterns. You can play simple lead guitar lines and your picking speed starts to improve. At this point it's likely you want to understand what happens under the hood, so you'll start to study music theory, chords building, harmony. Little by little your improvisation and composition skills start to build up. You could even be wondering about playing live in front of an audience. Your technical skills are now excellent, your musical ear is good too. Now it's time to learn how to play with others, so you'll want to practice improvisation, live music, or, if you are a shredder, you'll study to improve your picking, sweep, tapping technique. At this point, you should be able to understand by yourself what are your strong and weak points, and what and how practice to become a complete musician. Probably you'll want to give lessons to young fellow guitarists. Of course, everyone has is different when it comes to learning something; these are just raw guidelines to give you an idea. Your progress as a musician depends on a lot of factors: how much you practice, how well you can focus on the guitar, your talent...or not....? 1) How Much do Guitar Lessons Cost? It depends on the teacher, of course. From his/her experience level, genres, type of lessons (in-person, Skype). 2) How much does Guitar Tricks cost? 3) How much does it cost Jamplay? Jamplay is $19.95 a month, but they have different types of payments and coupon codes, plus a 7 days free trial "no strings attached". Have a look at our Jamplay review for details. What is the age to start guitar lessons? Simple answer: now! The old saying "You're never too old to learn to play an instrument!" is a truth. The guitar is a fantastic instrument because you can start playing simple songs after just a bit of practice, this fuels your motivation, that increase your commitment, turning out in a virtuous circle. Plus, nowadays, with the help of online lessons, learning is even easier. Are you retired? Well, you have plenty of free time to fill. Do you work on shift? You can enjoy your online lessons 24/7 at night. Yes, we all know the story of Mozart, the virtuoso composer, that started learning music at the age of 4. But we are here to have fun, and the guitar is the instrument that fits better with many different lifestyles. Don't worry if you did not understand a word from the list above. Go to the Beginner's guide for buying your electric guitar, and everything will become clear. It contains descriptions about types of guitar and their parts. We have just seen the top guitar lesson sites on the Web. So many things to learn, so little time! So what's the right website for you? Always keep in mind that most of the websites above offer a free trial, so that you can try them out without any risk. If you are starting from scratch or you are a beginner, Guitar Tricks is a great choice. If you are already a beginner/intermediate guitar player and you want to study improvisation, chords harmony, soloing, explore various musical styles and other advanced techniques, Jamplay is the course for you. If you have a poor internet connection, or you prefer to stay disconnected while you're studying guitar, the DVDs of Learn & Master will make you happy. The great thing about these professional wesites is that they provide a free trial period that allows you to test them with no risks. Here below you find the free trials and coupon codes I've collected. "What is the best way to learn guitar online?" "What are the best online guitar lessons?" "What's the best guitar learning website?" So I've wrote these pages to help you pick the complete guitar course right FOR YOU. The quantity of videos and tutorials out there is huge: on Youtube, Reddit and other places there exist thousands of guitar lessons useful to teach yourself guitar for free, some good, some less. With such a load of information, it's easy to feel overwhelmed or confused, but overall the significant risk is to not being able to discriminate a helpful lesson from a bad one. And this is a big waste of time or, worse, could teach you wrong habits that will cause injuries. With the resources listed on this page, you can safely teach yourself guitar in a fun and effective way. I've put a lot of hours researching and testing a significant number of different guitar lessons websites and learning systems. I've collected feedback from guitar students of all levels, and also from independent review companies such as Better Business Bureau and Trustpilot. I'm 100% are sure that on this list you find only the highest quality guitar tuition platforms. My name is Gianca, I live in Italy, I'm a guitar teacher and a software engineer. I created this website to be a tool for my students, and now it's available, for free, to anyone looking to get better at guitar. Brought to life in 2012, FaChords Guitar has reached over 5 million views. Here you find interactive guitar learning software, tutorials and lessons to help you improve your guitar skills and knowledge. You have to stick with it. Sometimes, you are going to be so frustrated you want to give up the guitar — you'll hate the guitar. But all of this is just a part of learning, because if you stick with it, you’re going to be rewarded." Jimi Hendrix gave this advice in 1968. Today in 2019 there is an incredible amount of high quality guitar lessons for learning how to play the guitar online, so we have no excuses! I wish you every success on your guitar journey! Wondering how much you should pay for a guitar lessons? There are different factors to take in account: your experience level, the genres you'd like to learn, the kind of lessons (in-person or online). This survey will show you how much guitar lessons cost. This is a genuine review of Guitar Tricks. 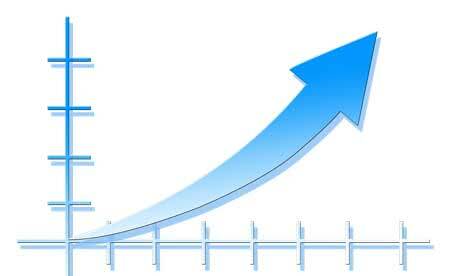 See facts and statistics, and learn about what people think about the most popular online guitar lessons site. Have a look inside the member area.. Here's a complete review of Jamplay: we've spent a full day analyzing the popular online guitar lessons site: find out if Jamplay is right for you. This side by side comparison shows the differences between Guitar Tricks and Jamplay and helps you decide what is better for you: experience levels, features, genres and styles. Here you find the 6 things you must check when buying an electric guitar, plus a selection of the best electric guitars grouped by price range.. In this review we explored TrueFire, the biggest online guitar lessons site of the planet. While it could be not the best choice for beginners, it's great for more experienced musicians that want to learn a specific genre or technique.. 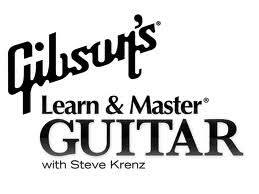 In this review, we're going to take a look at the DVD lessons of Gibson Learn And Master. I was looking forward to receiving the DVDs and the wait was worth it (no video streaming lessons in this case!). In this review, we're going to tell you about our experience with ArtistWorks online guitar lessons. Bottom line: they are suitable for intermediate guitar players, and the video exchange system is a useful feature..